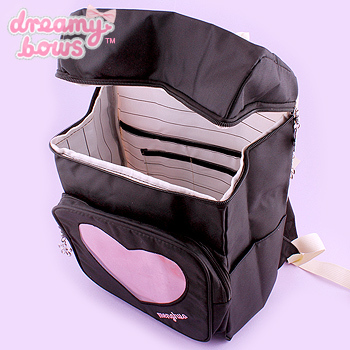 This adorable heart pocket 'ita' backpack is the perfect bag for any casual kawaii style. 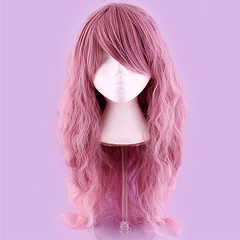 You can also display your favourite items in the clear pink heart pocket! Adorable, spacious and sturdy backpack which comes with adjustable straps for a better fit and comfort. It has multiple pockets for extra storage and a hidden side zip on the back for easy access or for safekeeping important items. Features a pink heart on the front which also doubles up as a display pouch for you to put badges and pins or small trinkets on for show! 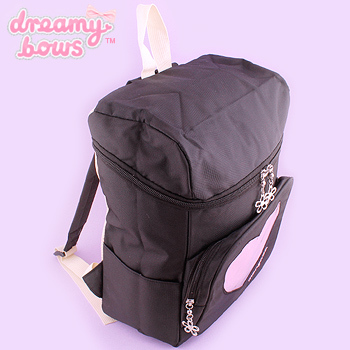 There are also hidden pockets inside the bag for more valuable items like phones, wallets etc, this backpack is very versatile and would fit a variety of different kawaii styles!